Mr. Hamdi DAOUDI is a Geoscience Engineer specialized in petroleum engineering. He was graduated in 2017 from the Faculty of Sciences of Tunis. 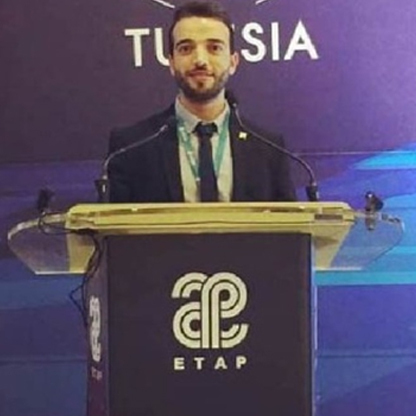 His passion to E & P sector has driven him, during his study, to become a trainee at many petroleum companies such as, Tunisian Oil and Gas Company (ETAP), SEREPT, OMV and SODEPS. After graduation, Mr. DAOUDI has worked as a production engineer intern in SODEPS, where he performed well performance study and production optimization using artificial lift system. Now he is pursuing his master degree in management and innovation in the National Engineering School of Tunis and he is working as a geophysicist engineer for CGG. Apart from the above, Mr. DAOUDI is a karate trainer and member of the national team. He obtained his Diploma from the High Institute of Sports Studies of Tunis in 2012; also he is a member of the Red Crescent.